First and foremost, be informed that you can make payment for NYSC call up, exemption, exclusion and relocation letter directly online. This method is clearly the fastest and easiest. If however, you can't make payment online due to network issues or card problem (because only Mastercard is acceptable for payment on Remita platform), you can visit any of the following approved banks for Remiuta payment. Before proceeding to a bank for your payment, you must generate RRR (Remita Reference Number) for the activity in question. Take this 12-digit number to any of the bank listed above. At the bank, fill the 12-digit number as the account number, NYSC as account name and your name as the depositor. After Payment, return to your NYSC profile to complete your pending activities. If you enter your profile to see that the payment hasn't reflected, visit NYSC payment re-validation link. Enter your RRR and re-query. This should complete the payment. Return to your profile now and complete your activity. 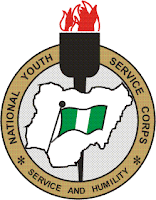 187 Accredited NYSC, WAEC, NECO and NABTEB Cafes or Registration Centres in KEBBI State.